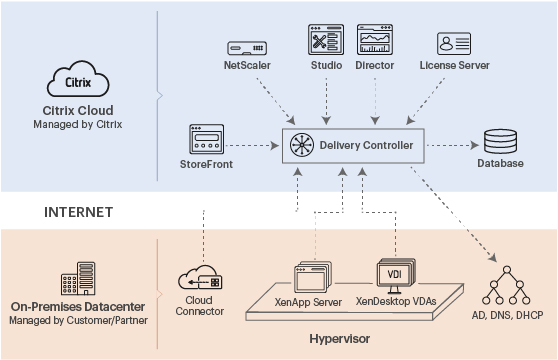 Citrix Cloud provides a hybrid cloud platform for organizations to deliver XenApp and XenDesktop services, offering increased flexibility and affordable pricing for scaling workloads on demand. 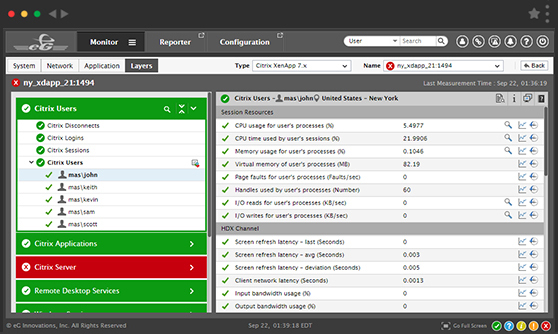 Despite the benefits Citrix Cloud offers, managing performance of Citrix services remains a challenge for Citrix admins. 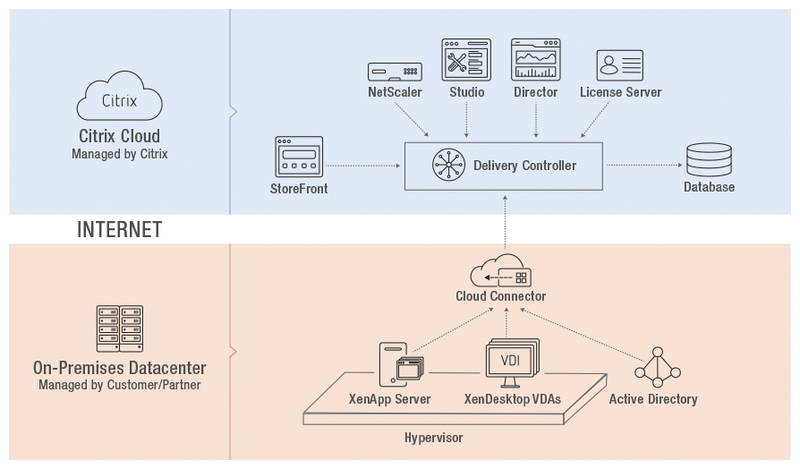 Even though some of the Citrix delivery infrastructure is hosted in the control plane and managed by Citrix, the enterprise IT teams are still responsible for the overall performance of the XenApp and XenDesktop services delivered to end-users. They need sufficient monitoring capabilities in their arsenal to proactively diagnose and troubleshoot performance problems, before they become business-impacting. 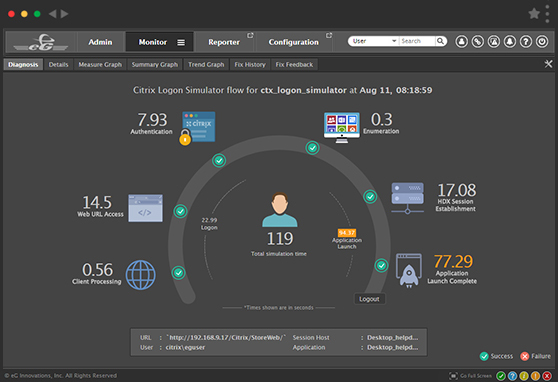 Use built-in Citrix logon simulator to proactively test and identify logon slowness, application availability issues, slow launch, etc. 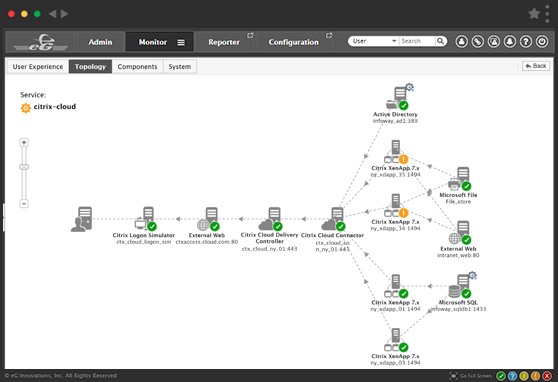 By leveraging Citrix APIs, eG Enterprise provides native support to monitor critical Citrix Cloud components such as the Cloud Delivery Controller. 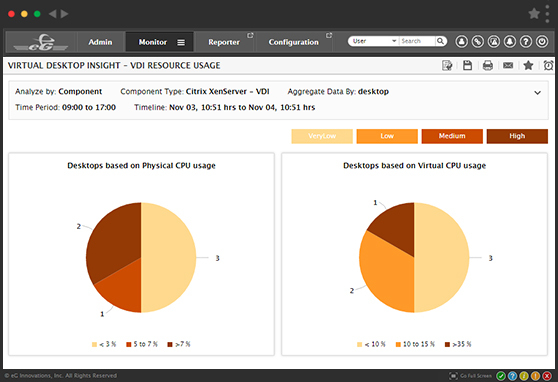 Wherever the resource plane is deployed – on-premises infrastructure or public cloud (AWS, Azure) – eG Enterprise provides comprehensive performance visibility into the core Citrix components, including the Citrix XenApp servers and XenDesktop VMs, as well as the supporting tiers such as the hypervisor, storage, AD, network, and more. 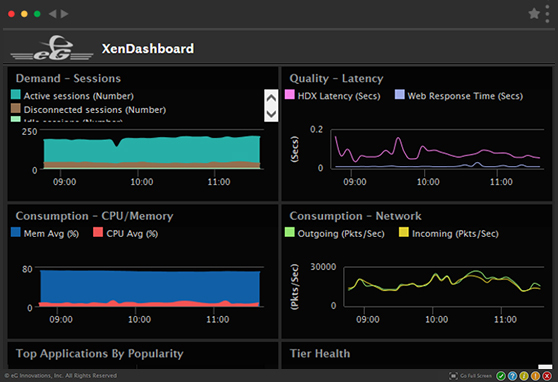 eG Enterprise also provides monitoring support for XenDesktop Essentials and XenDesktop Essentials infrastructure deployment on Microsoft Azure cloud. White Paper Does Citrix Cloud Make Performance Monitoring Easier?